Tarek Loubani is a Canadian doctor and humanitarian. He runs the Glia Project, which seeks to provide medical supplies to impoverished locations, and developed a low-cost stethoscope in 2015. He serves as Associate Professor at the University of Western Ontario and works in emergency rooms. In 2013, along with filmmaker John Greyson, he was arbitrarily arrested and spent seven weeks in Egypt's Tora Prison without charges. In 2018 he was shot in both legs while in the Gaza strip providing medical care during the 2018 border protests. Loubani was born in Kuwait and lived in Palestine as a child. He is the son of Mahmoud Loubani, who works at a medical clinic in New Brunswick. When he was nine years old, his family immigrated to Bathurst, New Brunswick as refugees. He attended high school in Bathurst before studying medicine at Dalhousie University and the University of Western Ontario. Loubani began serving as an assistant professor at the University of Western Ontario in 2010. In April 2018, the Ontario Undergraduate Student Alliance awarded Loubani with their annual teaching excellence award. 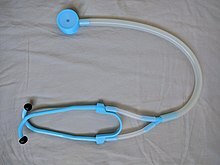 In 2015, Loubani designed a low-cost stethoscope which could be made for $2.50 using a 3D printer. He runs the Glia Project, which seeks to provide medical supplies to impoverished areas and has created designs for 3D printable surgical tools such as needle drivers and pulse oximeters. On August 15, 2013, Loubani and Greyson arrived in Egypt, intending to travel to Gaza. On August 16, they were arrested and detained in Tora Prison, where they were held without charges and were subjected to physical violence and harsh conditions. Egyptian authorities were considering a number of intended charges against Loubani and Greyson, including murder and "intention to kill," which both men denied. They were released after more than seven weeks in detention. On Monday May 14, 2018, Loubani was shot in both legs near the border between the Gaza strip and Israel. Loubani was delivering emergency medicine to the protesters and believes he was targeted by an Israeli sniper. The paramedics wore high visibility vests to identify themselves as medical personnel, but in spite of that, Loubani says that a total of 19 medical professionals were shot on Monday, including Musa Abuhassanin, the first paramedic to assist Loubani in the field, moments after he was shot. In a May 17, 2018 interview by Democracy Now! 's Amy Goodman, Loubani narrated the moments after he was shot and Abuhassanin's subsequent death. ^ a b "Canadian doctor makes stethoscope with 3D printer to deal with Gaza shortage". www.cbc.ca. Retrieved 2016-06-15. ^ "A doctor in Gaza producing an industry leading 3D printed stethoscope of 30 cents". The Independent. 2015-08-16. Retrieved 2016-06-15. ^ Clark, Liat. "Meet the doctor bringing cheap, 3D printed medical devices to Gaza". WIRED UK. Retrieved 2016-06-15. ^ "Interviews: Dr. Tarek Loubani Answers Your Questions - Slashdot". science.slashdot.org. Retrieved 2016-06-15. ^ Haaretz (2015-08-15). "Gaza Doctor Invents Stethoscope Which Is 'Better Than World's Best' but Costs Only 30 Cents". Haaretz. Retrieved 2016-06-15. ^ "This 3D-Printed Stethoscope Costs $5, Outperforms $200 Competitors". Motherboard. Retrieved 2016-06-15. ^ a b Logan, Nick. "Who are John Greyson and Tarek Loubani?". Global News. Retrieved 2016-06-15. ^ "Greyson, Loubani return to Canada after release in Egypt". www.cbc.ca. Retrieved 2016-06-15. ^ a b "'Relieved' Tarek Loubani recounts brutal jail stay as pair leaves Egypt". The Globe and Mail. Retrieved 2016-06-15. ^ "John Greyson and Tarek Loubani: Canadians jailed in Egypt return home | Toronto Star". thestar.com. Retrieved 2016-06-15. ^ nurun.com. "Q&A with Loubani and Greyson". The London Free Press. Retrieved 2016-06-15. ^ "Jailed Canadians in Egypt recount day of arrest, imprisonment". www.cbc.ca. Retrieved 2016-06-15. ^ "Canadian doctor Tarek Loubani and filmmaker John Greyson, arrested in Cairo". rabble.ca. Retrieved 2016-06-15. ^ "Canadians John Greyson and Tarek Loubani in their own words | Toronto Star". thestar.com. Retrieved 2016-06-15. ^ nurun.com. "Profiles in courage". The London Free Press. Retrieved 2016-06-15. ^ "London, Ont., physician Tarek Loubani shot in leg near Gaza border | CBC News". CBC. Retrieved 15 May 2018. ^ a b c Logan, Nick. "Father of Canadian detained in Egypt proud of son's humanitarian work". Global News. Retrieved 2016-06-15. ^ nurun.com. "Why I interrupted the minister". The London Free Press. Retrieved 2016-06-15. ^ "OUSA's 2018 Teaching Excellence Award Recipients". OUSA. Retrieved 15 May 2018. ^ Kingsley, Patrick (2013-10-11). "Canadian pair describe 'shared trauma' of ordeal in Egyptian prison". the Guardian. Retrieved 2016-07-08. ^ "John Greyson and Tarek Loubani: Egypt extends Canadians' detention another 45 days | Toronto Star". thestar.com. Retrieved 2016-07-08. ^ Ward, Olivia (1 October 2013). "John Greyson and Tarek Loubani: Egypt considering murder charges against Canadians". The Star. Retrieved 22 May 2018. ^ Kingsley, Patrick (5 October 2013). "Egypt releases two Canadians held without charge". The Guardian. Retrieved 22 May 2018. ^ "London, Ont., physician Tarek Loubani shot in leg near Gaza border". cbc.ca. Retrieved May 16, 2018. ^ "Meet Tarek Loubani, the Canadian Doctor Shot by Israeli Forces Monday While Treating Gaza's Wounded". Democracy Now!. Retrieved May 21, 2018. This page was last edited on 27 January 2019, at 02:42 (UTC).